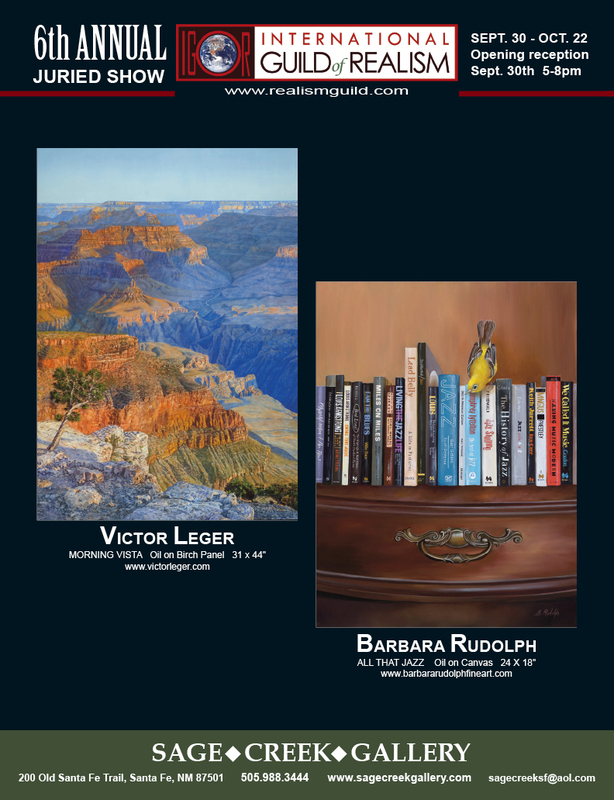 This is one of the pages in the October issue of "American Art Collector"
magazine that will be out soon. The "Sage Creek Gallery" in Santa Fe is hosting the 6th Annual "IGOR" show on September 30th. I am so pleased to be a part of this wonderful event. My "All That Jazz" oil painting was the piece that was selected by the jury. 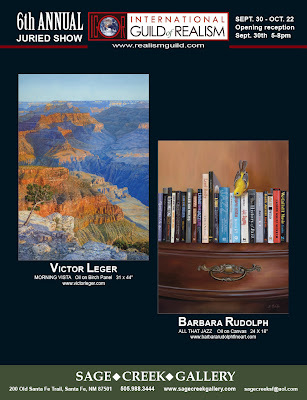 The "International Guild of Realism" currently represents around 260 artists hailing from 33 countries around the world. The Guild seeks high quality artwork, ranging from the ultra-contemporary to timeless traditional realism. There will be 70 artists works on display for this wonderful show. John O'Hern, retired curator of the Elmira Museum of Art in Elmira, NY will be an honored guest judge. He was the curator for one of the best realism museum exhibitions during the years called "Realism Today," with several of the most famous living realists of the world exhibiting in it year after year. Congratulations, this seems like a great fit for you, but could be a real wild card for traditional realism in the show. Waita' shake things up!